Founded in 1966, KESAB environmental solutions is a not-for-profit organisation that aims to inspire the community to restore, preserve and improve the environment. They deliver world-class education and community programs which are now being emulated around the globe. 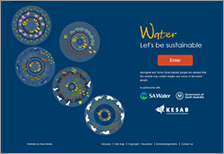 Following is the KESAB environmental solutions education material posted on FTfs. Consists of an interactive house which is a fun and engaging way to educate students about the correct disposal of common household items. Also included are student facts, cross-curricular lesson ideas and accompanying student activity sheets. Junk Craft™ activities provide a great way for you to combine common classroom resources with recycled materials and objects from nature to create interesting craft items. Resources include instructions and templates for six craft activities – a Koala & Bilby, Redback Spider, Leafy Sea Dragon, Captain Arthur Phillip’s Hat, First Fleet Tall Ship and War Commemorative items. 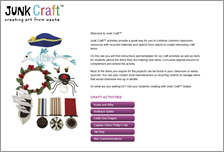 Also includes related facts for students and curriculum-aligned lessons to complement and extend craft activities. Educates schools and the wider community about the effective use of the green organics bin to divert food scraps from landfill. Resources include lesson ideas and student work sheets, student facts, engaging interactives and fun activities for students. Although developed for South Australia, resources are relevant for a national audience. 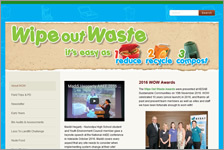 This program is a whole school community approach to waste management and learning. It offers professional development sessions, bin material audits, field trips and a range of education resources (including lessons, videos, big books and interactive games) to support waste management. Useful information about water – how it is treated, when it is safe to drink, how to use it wisely and who’s looking after it. There are also statistics about water use in several APY Lands communities. Resources include curriculum-linked units of work, lesson ideas, student work sheets informative e-books (with read aloud functions) and several interactives (quiz, animated diagram and board game) to engage students. Sims Metal Management is a world leader in metal recycling. 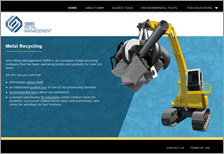 This microsite incorporates resources for the community and educators on the topic of metal recycling. You will find an interactive tour of one of SMM’s processing facilities, fact sheets, lesson ideas and worksheets (including sheets for fast finishers). Resources to educate students about litter issues in local, national and global contexts. Resources include lessons, student work sheets, animations and interactives. This fun, interactive board game will test your knowledge of water and how to use it wisely. See how much you know about what food scraps can be turned into compost in this fun true/false quiz. What goes in your kitchen caddy? Drag and drop! Click and drag items into Freddy’s mouth to see if they will be accepted for composting. Play What goes in your kitchen caddy? Drag and drop! 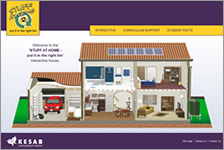 Explore this 3D interactive house to learn about the correct disposal of common household items.